All stories are illustrated, by eleven different artists. The cover is by Sara Miles (Caribou), illustrating Kyell Gold’s story, “Sibling Rivalry”. Get it at the FurPlanet table at Anthrocon 2013, or order it from the FurPlanet online store, for $19.95. Every story has one, but that can't stop us from wanting more. In the best stories, life goes on after the last page of the story, behind the curtain. Most of the time that future is hidden from us, forever unknowable. We've made this book the rare exception that lets you peel back the veil and peer into the future. We've brought together eleven of the best authors in the fandom, both old and new. [...] They've all created amazing worlds that live on in our imaginations. The exploits of our favorite characters, famous and infamous, are not over. If I had read and were fans of some or all of the series listed here, I would most definitely be interested in reading more about what later happens to the main characters. But for most of these, the ones I've read are a very incomplete subset of the series presented. For example, I've only read one story each of the Felicia, Perissa, and Cluny series. And in general, I'm not one to go trawling eBay or Furbuy to buy up backissues of furry zines that may have had a total print run of less than a hundred copies more than ten years abo, just so I can get the whole stories on these series. Many of them I would buy up in a heartbeat if the stories were reprinted as collections of a series. Thus the question arises, will I be able to enjoy and appreciate these "What Happens Next" stories if I haven't read all (or any) of the stories from their original series? Will they contain spoilers if I were to read these now and later go back and read the series (especially if published as a collection)? Some yes, and some no. All of the Cluny stories by Michael Payne have been published in "Marion Zimmer Bradley's Sword & Sorceress", an annual series of professional paperbacks available from Amazon.com. This is Jenner's first "Doc Rat" short story; all of his previous adventures are available for free in the archive of the online "Doc Rat" comic strip. But yes, his story "Pick-Up at Hanging Drop" is a direct sequel to a story arc in the comic strip. "Festival of Vampires" is the twelfth "Perissa" short story by Brock Hoagland; all the earlier stories are available in "Tales of Perissa" books 1 and 2, still available from United Publications in England. 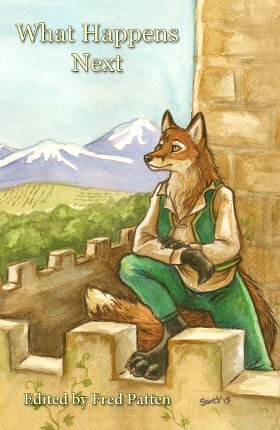 "Sibling Rivalry" by Kyell Gold takes place in a "gap" in his "Shadow of the Father" novel, available from Sofawolf Press; but you may feel that you have to read all of Gold's Argaea books to get the full background. 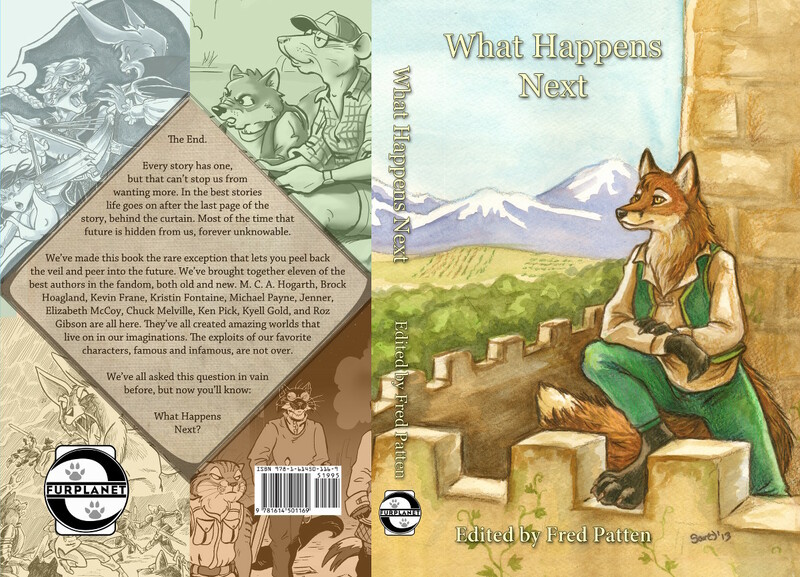 Kristin Fontaine's "Reflections of Things to Come" is the first "Tai-Pan" story published outside "Tales of the Tai-Pan Universe", which has fifty issues over the past twenty years; but all are available (some as reprints) from the Tai-Pan website. Enough of Chuck Melville's "Felicia, the Vixen Sorceress" stories are available from Amazon.com to give you sufficient background; and his "Felicia: Sorceress of Katara" comic strip can be read for free through its archive online. (For both "Doc Rat" and "Felicia", I recommend the online Belfry WebComics Index website.) This is Roz Gibson's first "Jack Salem" short story; all of his previous adventures have been in comic-book form, most of which have been reprinted as graphic novels by FurPlanet Productions. Elizabeth McCoy has reprinted her Kintaran short stories from the 1990s "PawPrints Fanzine" as a series of Kindle booklets, all available today. All of Kevin Frane's "Iolite League" stories are available from Furry specialty publishers. Maggie Hogarth's "Alysha Forrest" stories are available in her novel "Alysha's Fall" and her Kindle books. That leaves only Ken Pick's previous Brigit Bunny stories in "Yarf!" that you would have to go trawling on eBay or Furbuy to find. I have been urging Ken to write enough more to fill a collection of them. In a sense, all of these stories are spoilers. You can tell by their existence that their protagonists have survived their earlier life-threatening adventures. Okay, after seeing the back cover and who is included, I think I will buy this. Here's hoping this will be as good as Best in Show.